A North Carolina baker was arrested after police found marijuana brownies in his vehicle, according to the Fayetteville Observer. Stephen Robert Grasso has been charged with possession with intent to sell and deliver marijuana, maintaining a vehicle for the purpose of selling and delivering marijuana, misdemeanor possession of drug paraphernalia and misdemeanor carrying a concealed weapon. 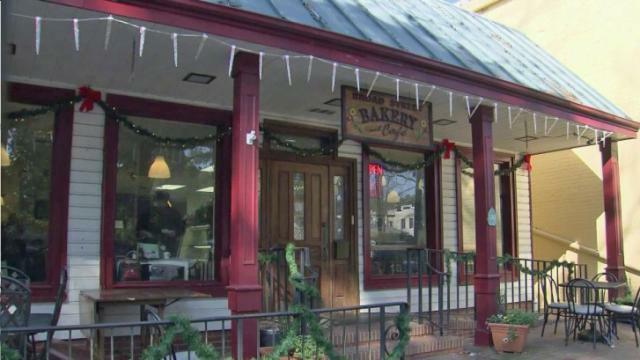 Police searched the 59-year-old owner of Broad Street Bakery and Cafe in Southern Pines after pulling him over at a traffic checkpoint on Tuesday. Officers allegedly seized 56 grams of bagged marijuana and said some marijuana had been baked into brownies. The suspect allegedly had “particles of marijuana” on his lap after being pulled over. The suspect is also accused of having more than $5,000 and a 9 mm Glock handgun. WRAL visited his business in Southern Pines, where customers did not seem concerned about his arrest. “All I know is the food is good,” said Theresa Bower.